Working under the stern Dr. Li, molecular biologist Morishita Anri begins to probe the mysteries locked in the mummy’s genetic code, while experiencing strange hallucinations of being a young girl imprisoned in one of the infamous experimental facilities established in China by Japanese Unit 731 for biological warfare. A classic work of modern horror from the fevered brain of Asamatsu Ken, recognized as a master of weird fiction and horror in Japan. Queen of K’n-Yan, or Kun-Yan no Joō in Japanese, as published by Kadokawa as part of their extensive horror collection. 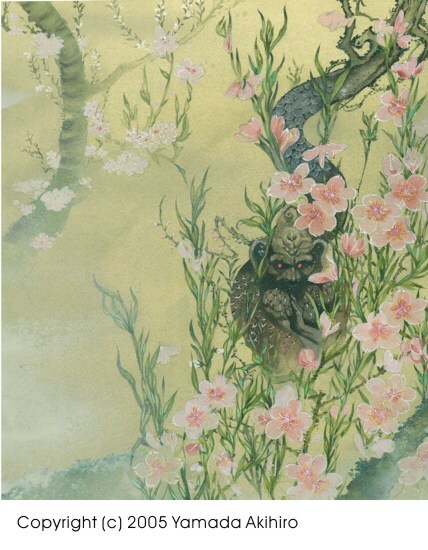 The cover of the edition used, the first edition, is by TAJIMA Akihisa. Ken Asamatsu's The Queen of K'n-Yan is an amazingly ingenious updating of Lovecraftian themes and motifs, and in the truest sense. 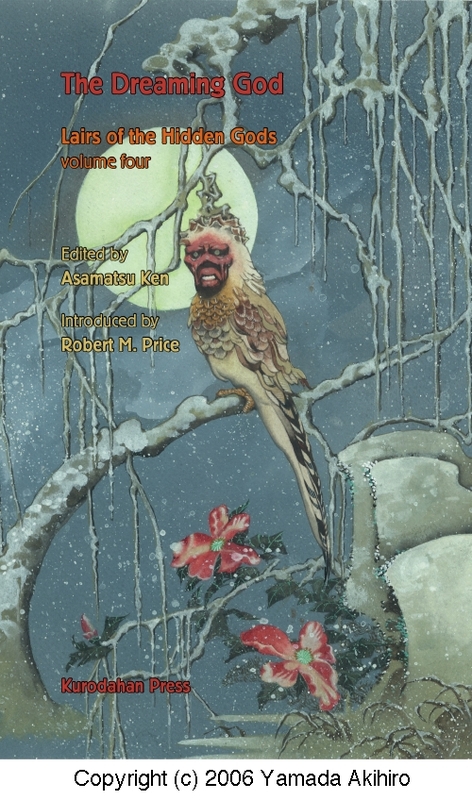 Unlike many who preserve a few Lovecraftian names in a different kind of story altogether, to get a rise out of the reader for jarring juxtaposition for its own sake, Asamatsu is reincarnating the original soul of Lovecraftian fiction into its latest bodily form. It is a pleasure to read, if one may call the experience of being horrified "pleasant"! I think we can, and Ken Asamatsu is just the guy to do it! "...a delightful and horrifyingly Lovecraftian novel." 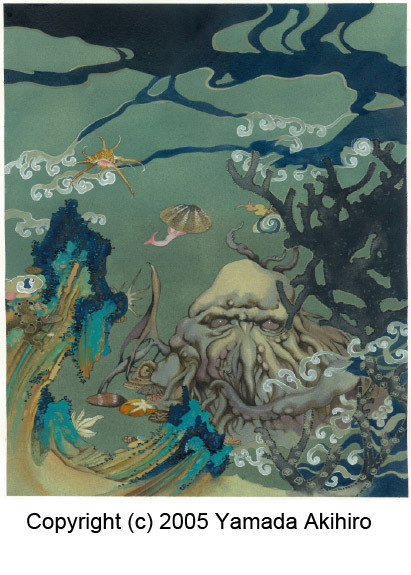 "This short novel is inspired by one of Lovecraft's lesser known stories, "The Mound" (written in 1930, and published in 1940 in a shortened version under the name Zealia Bishop). It is a tale of a haunted burial mound, two doomed expeditions some years apart, and a terrible secret. Queen of K'n-Yan speaks to that framework, but has built upon it something rather more complex and nuanced, confronting the ghosts of Japan's military past alongside the horrors of an inimical, alien underworld, and a chilling sense of realpolitik." "Beautifully packaged with amazing artwork by Kojima Ayami, the Queen of Kn'Yan is textbook example of why we need a healthy and thriving small press. ...a book that no major publisher in New York would bother to give but it is an important and fun book none the less." 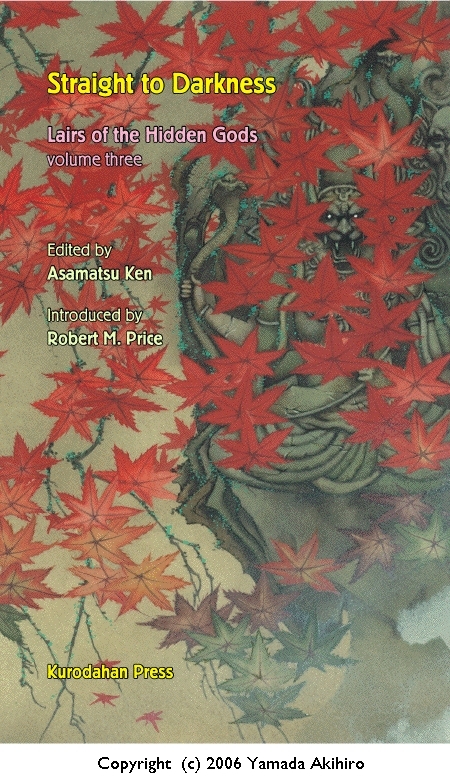 "Asamatsu ... creates a strong and cohesive narrative out of such seemingly disparate elements—hallucinations, historical reverie and pulpy excess—and does so in a manner that's crisp, thought-provoking and, most of all, fun." A third-generation Japanese American, Kathleen Taji hails from Los Angeles, California. After graduating from the University of California, Los Angeles with a major in East Asian Studies, she went to Japan to further her education, got married, and ended up living there for well over two decades. Although she is a technical translator, translating fiction is rapidly becoming a passion as well as a compulsion, especially in the science fiction, horror, and mystery genres. She currently resides in the suburbs of Los Angeles with her zebra finch and her beloved desert tortoise, Miz Pamie.